My very first project was a website to book campsites. I worked on it for two years and it was a disaster. I did everything that people advise against and the website never got really launched but I learnt a lot coding wise. It was such a long project, I wanted to next one faster. So when I started doing mobile development, my very first app dedicated to skydivers took me only couple months. People were able to get the weather on jump zones in advance before going there. Luckily it was good enough to get people interested, I managed to sell it to the national french skydiver association. Over the years, starting projects or finding ideas were not much a problem. However, I was often frustrated to not be able to finish it: if the project is too long or too complex, it becomes a challenge to work on it in parallel of a full time job. But as a software engineer, a project is never really finished: you always can improve the code, create new services, etc. So I prefer releasing iOS apps in their MVP version, as in Minimum Viable Product. 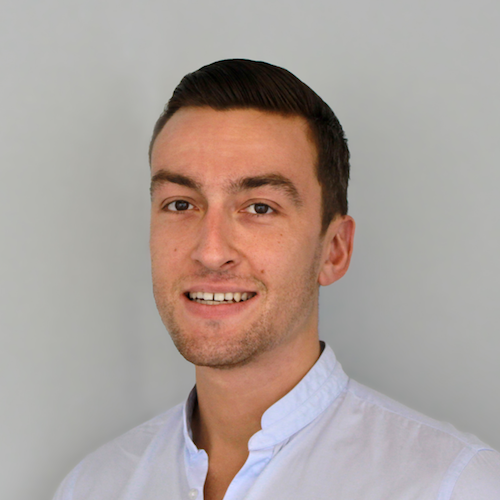 In short, the idea is to limit yourself to the key feature to deliver a service. This is how I started working on ephemeral iOS apps, short side projects that can be developed from couple hours to couple days and move on from it. With that point of view, you can be more creative about your services and learn faster. When an app doesn’t pay off, (i.e. nobody download it or find it useful), then no regrets, you haven’t spent too much time on it. That’s what happened to my pace converter app I’ve made for runners. It had less than 1000 downloads over a year, not many active users, I was probably the main one interested. However, it feels great when it pays off. 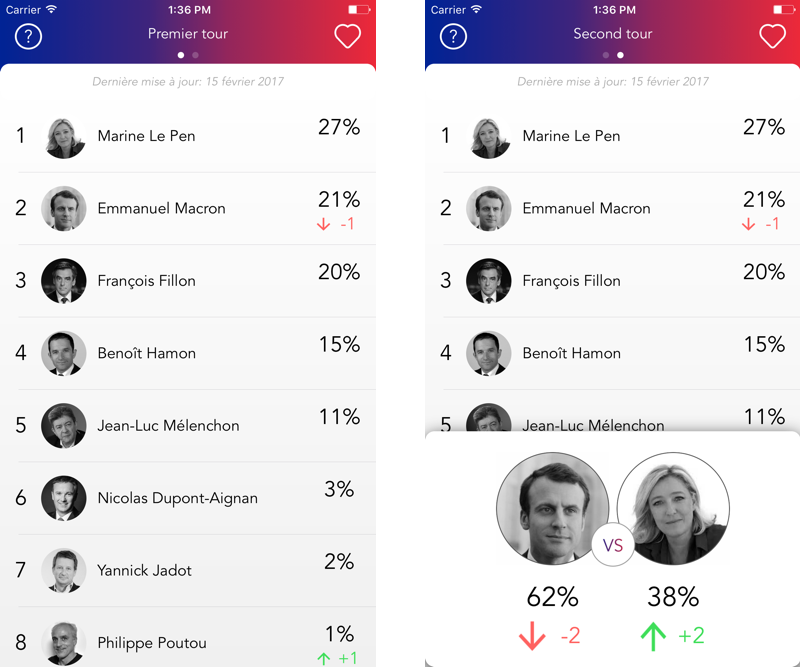 That was the case for an app I designed for the national French election in 2017. It went up to 13th in News category on the French App Store. Thank you for doing this app… I guess, this is all I have to say. Amazing work. Through any projects, you need to remember why drives you because it might not take off at all. My very last project was related to the crisis hitting France called “Gilets Jaunes”, people striking against the government. 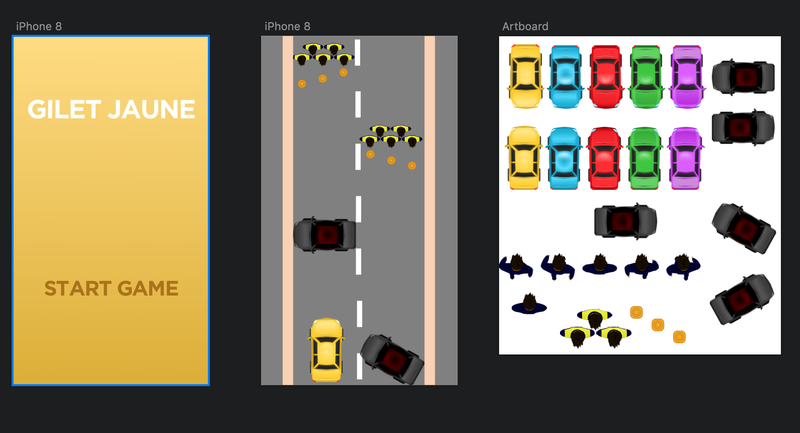 Being blocked during my last holidays in France, I created a car crash game where you need to avoid roadblocks. It was obviously on a joke side, for people blocked like me. However, even with my own customized design based on an open source one, my iOS game never went through: it was too similar to many more on the App Store. Overall, it took me less than a day to do and it was really fun, especially to clean my rusty iOS SpriteKit knowledge. In conclusion, creating small and ephemeral iOS apps always helped me staying creative with sharp skills while creating new services.